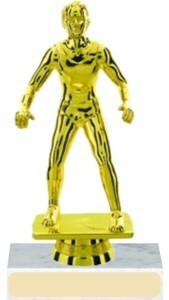 The industry standard for economical participation awards, basic wrestling figure on a marble base. Customize your trophy by choosing your base color and figure. Gold tone personalize plate makes this trophy real special!